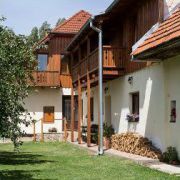 The hotel of the villa`s type is located only 50m far away from the famous thermal swimming pool, in the centre … More » of Bešeňová. We accommodate in the fourteen double bedrooms and two triple bedrooms with the possibility of extra beds. Every bedroom is arranged by sanitary facilities, TV/sat, fridge. 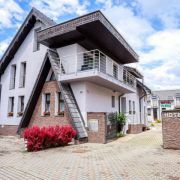 Excellent location in quiet area only 2km from Aquapark Tatralandia (25% off) and 1km from centre of Liptovsky … More » Mikulas. Room with kitchen and bathroom, TV/SAT, WIFI. Large garden, large trampoline (4m), sandpit, swings, grill. 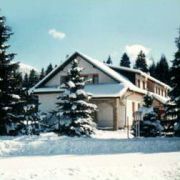 Water reservoir Liptovska Mara (1km), Ski resort Chopok - Jasna (14km). 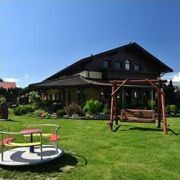 Villa in the beautiful Janska Valley, on large closed court, playground, mini zoo (pony, goat...). Children corner … More » with toys, children chair, cot... We can accommodate 24 persons. We prepare homely cuisine. For children under 3 years you can prepare meals in the small kitchen. 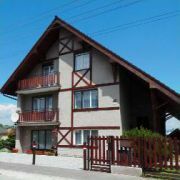 Guesthouse near the aquapark Tatralandia 1km. 2,3,4 bedded rooms + studio Lux 4+2. Each room has bathroom, TV SAT … More » , rooms upstairs have balconies. Kitchen for guests, dining room, fireplace room, terrace with grill. Possibility of boarding. Parking for 9 cars. 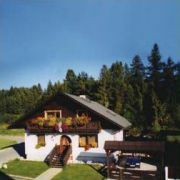 Villa Vanilla is located near the ski resort Jasna Chopok Low Tatras. Each room has a bathroom with shower and … More » WC. 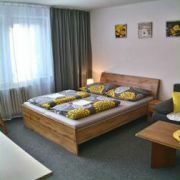 2, 3 and 4 bedded rooms are equipped with Smart TV/sat and WIFI. Each floor has a shared kitchen. Each room has also its own parking space. Free SKIBUS stop is 300m away. 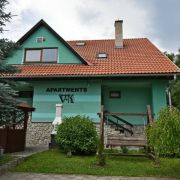 Separate entrance - Apartments Tatranska Strba. Apartment V+K is situated in a quiet location, on the edge of Tatranska … More » Strba, in the Apartment house. 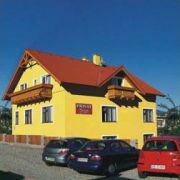 Its location is an excellent starting point for hikes to the High and Low Tatras, Liptov, Saris and Zamagurie. 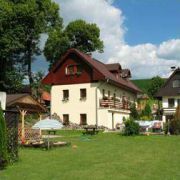 It is situated in the Country RANC area, close to the main road cca 1km from Ruzomberok towards Zilina. 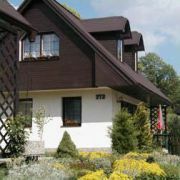 Guests … More » are accommodate in 14 rooms with capacity of 34 persons and possibility of 16 extra beds. Well visible from the main road No.18, 1km from Rožmberk direction Žilina. 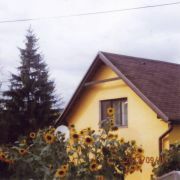 The boarding-house in the village Zuberec near the West Tatras. Each room has its own bathroom with the toilet … More » . 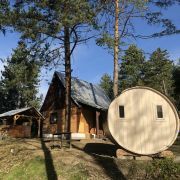 You can use also 2 kitchens, room for storing of the skis and day-room with TV, billiards, table tennis, gazebo, fireplace, WiFi. Capacity 7 beds. 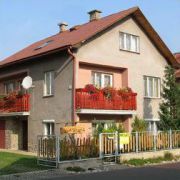 Heating by fireplace and electric heating, fully equipped, parking, bathroom with shower, toilet … More » and washing machine. There is a bedroom on the first floor, another bedroom and living room with kitchen on the ground floor.